Parenting is never an easy job, but it can be particularly complicated for fathers involved with raising a teenage daughter. Whether you’re a stay-at-home dad, the sole custodial parent or still married to the mother of your daughter, there’s something uniquely challenging about parenting a teenage girl. 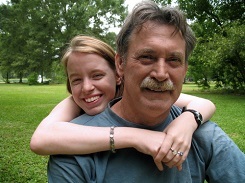 While every father and daughter will face their own individual challenges and successes, these are a few of the more common struggles faced by fathers of daughters who are rapidly approaching adulthood. Maintaining Neutral Status in Mother/Daughter Disputes – Every family is different, but one thing that tends to be almost universally true is that where there is a teenage daughter and a mother in the same picture, there will be at least the occasional power struggle or dispute. As a father, your first instinct may be to side with your child. On the other hand, presenting a united front is important for parents who are attempting to establish and maintain boundaries. One of the most challenging aspects of parenting a teenage daughter is maintaining neutrality when the battles begin to rage. Dealing With Puberty and Maturation – It’s not easy to watch your little girl grow into a woman. As a father, you know that your primary goal is to help your daughter become a productive, independent adult. You also know that the world can be a scary, dangerous place, and your natural inclination is to protect her at all costs. Understanding that growing up is an inevitable part of childhood and that your daughter is becoming her own woman isn’t easy for a parent of any gender, but it can be particularly stressful for fathers. Letting Daughters Make Their Own Mistakes – You want to protect your kids from making the same mistakes you made at their age, to impart the hard-earned wisdom you’ve gained over the course of your life and to help your daughters reach maturity as unscathed as possible by disappointment or heartbreak. It’s not always easy to put the shining armor on a shelf and to hold yourself back from intervening when your daughter is in the process of making a mistake, but some goofs are necessary. After all, the most valuable wisdom comes as a result of mislaid plans or questionable judgment. While you will want to do all that you can to prevent dangerous behavior, taking healthy risks is essential to your daughter’s development. Dating and Romantic Entanglements – When little girls become teenagers, they start dating. For most fathers, this is the most terrifying and infuriating phase of parenthood. Perhaps the unique perspective of a man who was once a teenage boy himself makes it difficult to trust your daughter with one, but it doesn’t change the fact that romantic interests are inevitable as your child becomes a young woman. Being a Listener, Rather Than a Fixer – From a leaking faucet to a dispute with a friend, many men react to problems and difficulties in the lives of their loved ones by trying to offer solutions. Sometimes, though, your teen daughter just needs you to listen. When she needs a sounding board, it’s not always easy to become a listener, rather than a fixer. Unfortunately, a listener is often what your daughter is looking for from you. Staying Active and Involved When Girls Become Distant – Part of growing up and becoming an adult is asserting independence from parents and family members. Knowing that it’s a necessary aspect of your teen daughter’s development doesn’t make it any less painful, though. Watching your daughter make a concerted effort to push you away or isolate herself is both difficult and hurtful, but it’s something that every father must face. Understanding a Father’s Impact on His Daughter’s Self-Esteem – Girls tend to base their own ideas regarding self-worth on how their fathers treat them, which means that your daughter is almost certainly depending upon you to help her attain the self-esteem she’ll need to successfully navigate the world of adult social interactions. Complimenting your daughter is important, but it’s also important that those compliments be based on more than just her appearance. It’s fine to tell your little girl how pretty she’s become, but you also need to tell her how smart she is and how proud you are of the efforts she makes.